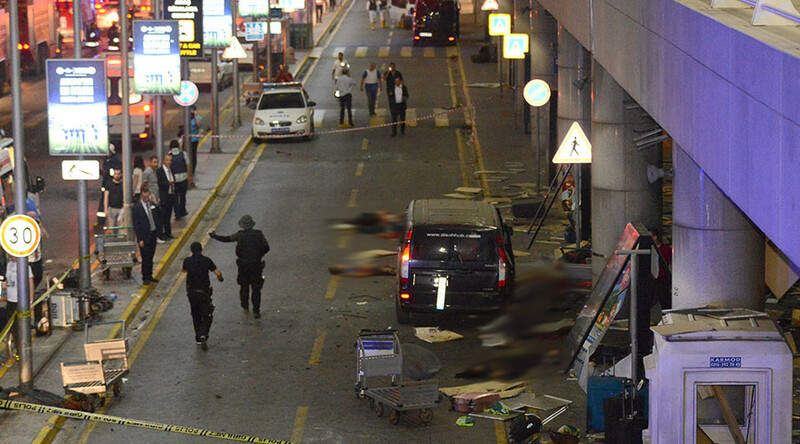 42 people were killed and 238 injured in a triple suicide bombing at Istanbul’s Ataturk airport. Foreigners are among the dead. Many international flights to and from the airport have been cancelled or suspended for safety reasons. A US citizen was injured in the Istanbul airport attack, US Homeland Security Secretary Jeh Johnson said. He added that Americans should expect law enforcement officials on public transport in the country. "We will not shortcut aviation security in response to increased travel volume and longer wait times," Johnson said. Turkish police have detained 13 people it believes to be connected to the bombings, including three foreigners. The detentions come as a result of 16 separate raids in the capital. CCTV footage of Istanbul attack suspects is now in circulation. It shows clearly one of the attackers getting out of a car, wearing black. Another video shows a younger man wearing a vest and jeans enter the terminal before the bombing. Police is working to identify the men at this time. Members of the Russian children’s dance ensemble Biserinki who missed their scheduled flight from Ataturk Airport on Tuesday due to the terrorist attack will be brought home to Russia by a Turkish Airlines aircraft, TASS reports. "All 15 girls and the teacher escorting them completed the check-in formalities and were awaiting takeoff inside the jet at 20:40 Moscow standard time," said Ramil Khalimov, local official in the children’s native city of Naberezhnye Chelny. The girls, aged 11 and 12 years old, were returning from Bulgaria through Turkey after securing first place at the international dance competition “Peace, Arts and the Sea.” The blast caught the group in the green zone of the airport. 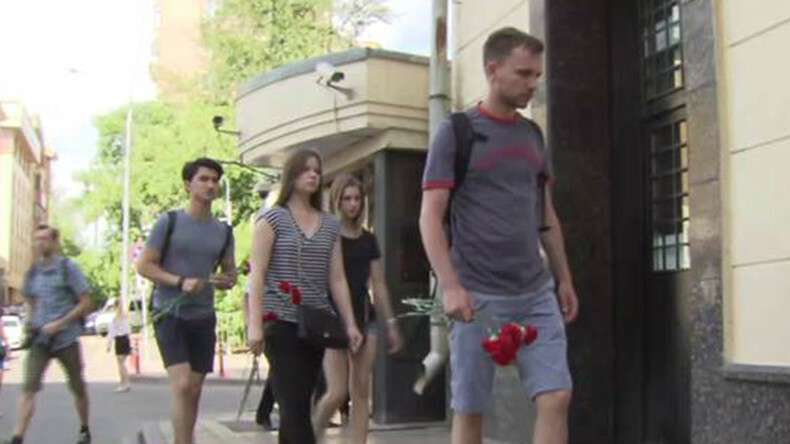 They were briefly evacuated from the air hub to the city center and spent a night at a local hotel, reportedly paid for by Russian tourists, children`s rights ombudsman Pavel Astakhov said earlier. The death toll in the Istanbul airport attack has risen to 42 people, Turkey’s Anadolu News Agency reports, citing the regional governor's office. Merve Yigit, who was seriously injured in the attacks, died in a private hospital in Bahcelievler, the agency added. The number of injured remains at 238. The number of Ukrainians injured in the Istanbul airport terrorist attack has reached four, Ukraine's Foreign Ministry said. Two French citizens were slightly injured in the bombings, France’s president, Francois Hollande, said. At least one Canadian citizen was injured in the Istanbul airport attack, CBC News reported.